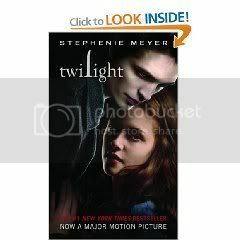 Twilight by Stephenie Meyer. 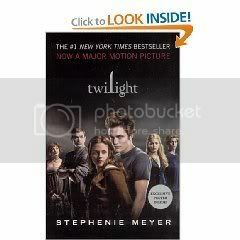 First book in the Twilight Series. Originally published: October 5, 2005. 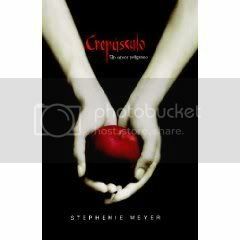 Learn more about Twilight here on Stephenie Meyer’s site! 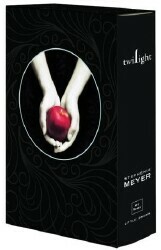 You can order the various versions of Twilight here on Amazon. 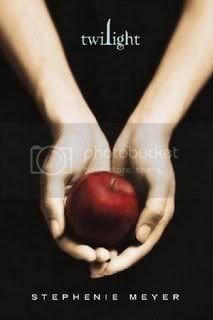 The forbidden fruit should always be the representation of Bella’s and Edwards relationship, it should not be substituted with a photo shoot of Hollywood stars. I totally agree.If I was to buy the book again I would get the apple cover. it was soooooooo addicting! I love it! I can’t wait to read the rest of the series!!! u haven’t read the rest of the sieries! i am upset i have read the saga because i borrowed the books from my sister and found myself wanting to read the saga over and over again so my sister bought me the first to books for my birthday and to my astonishment i found that a couple of things have changed….in the book with kristen and robert on the cover th line is “second, there was a part of him- and i don’t know how dominant that part might be- that thirsted for my blood” and in the book with the cover as the forbidden fruit is “second, ther was a part of him= and i don’t know how POTENT that part might be- that thirsted for my blood” like what the heck is going on why is that different? also from the one with the actors on the cover has a line something like “can you stop the mood swings because they are giving me whiplash” but in the book with forbidden fruit on the cover it doesn’t say that at all!!! I was just wondering if someone could tell me why this is? i have no idea, but u r on to something! hi , can i know in singapore .. whr can i get the books from ? i do agree with the first comment of the apple as the forbidden fruit! but i think they have done it (partly) for sales!! for 1 i think robert pattinson is hot and i no many other girls do so would buy that copy of the book if thy saw ot because of him! also kristen stewart is an attractive and has the same effect on some guys!! not say that is the reason its just my opinion! All the books were extraordinary.I enjoyed a lot.I don’t know how i was fully addicted to it.Robbert Pattison was so handsome in twilight.I really love the imagination of Stephene meyer.He is too good.I am waiting for the Eclipse very eagerly. does any1 no if she is going to publish midnight sun?? ?she should do that 4 the whole series!! !tat would be awesome! i love both the movie and the book!! !i have 3 of the books and can’t wait till i get the 4th!!!!! You’ve got to be kidding me-it’s so trnneparsatly clear now! Log in | 56 queries. 1.002 seconds.